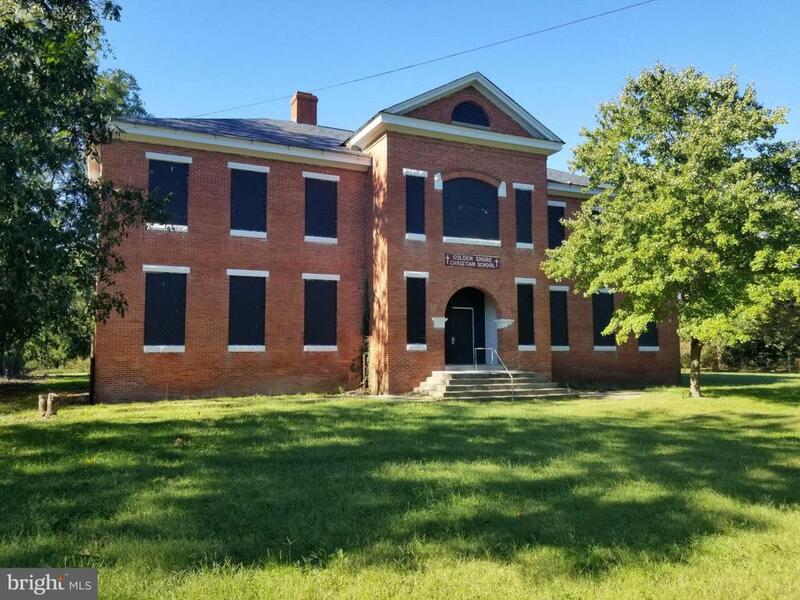 Historic "Academy School", built in 1903 and served as a public elementary school for many decades, 1.86 acre lot located near the Choptank River and downtown Cambridge in Historic West End District. Professionally designed plans on file for rehab of the structurally sound building into 8 senior citizen condos and a new detached building with 15 units and club house. Buyer may have and use these plans for approval, which had prior approval from City, now expired. Approved for 250K Federal Historic Tax Credit, subject to minor conditions, transferable to buyer. Once approved for 287K MD Historic Tax Credit, now expired, re-application allowed Aug, 2019. Subject to pending rezoning request for multi-family residential use, which has been well received.